New Owners Welcome to the Family! 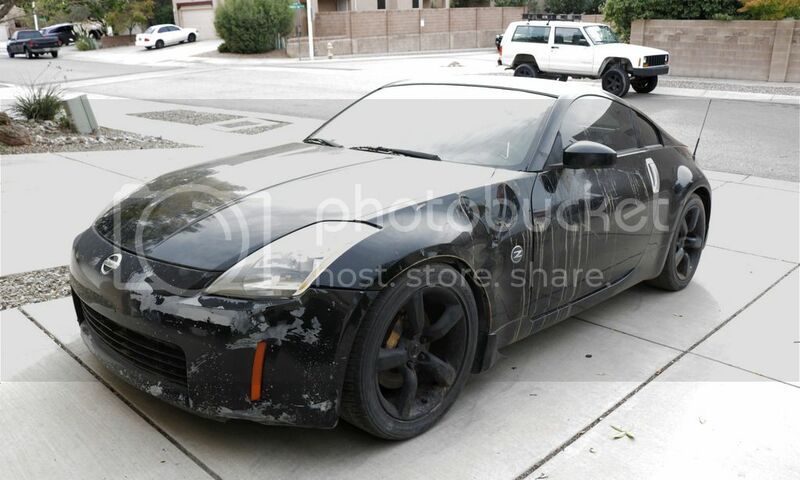 This is my first 350z/ nissan in general and first junkyard drift build. Got her super cheap but she definitely needs some loving. It's a 2003 track edition 350z. excited to start getting her back into shape and doing some skids. If you want to follow the process check out my youtube channel. here she is! Last edited by fiddy_sent; 10-19-2018 at 07:00 AM. If you want to follow the process check out my youtube channel! Definitely! Got her started but she has pretty bad rod knock and won't stay running...picking up a new vq tomorrow and will be breaking down the old one for forged internals if it's salvable. Picked up a running used engine with 114k to get this beast up and running while I tear down the old engine and rebuild it if possible! 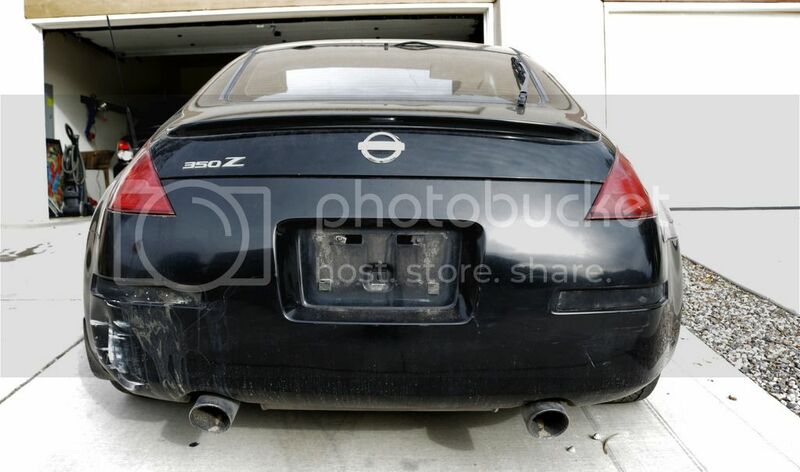 Ugh- that was one neglected Z33! Surprising that it was a track model. 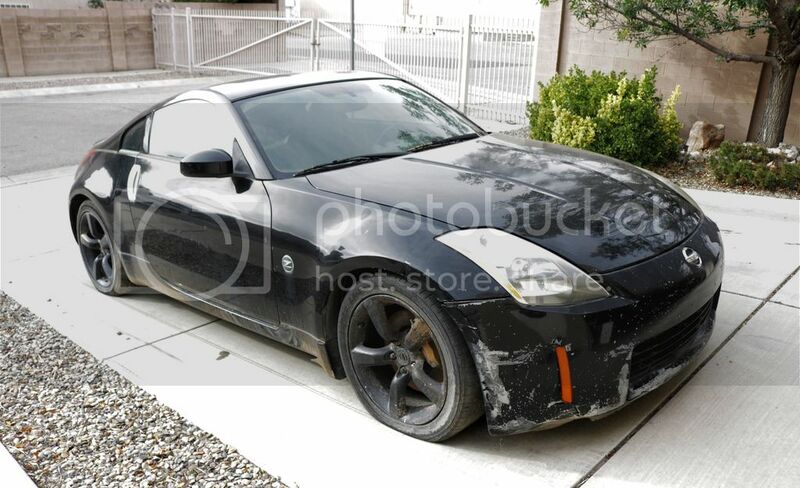 Mind my asking what a severely neglected Z with a non-running engine goes for in NM, nowadays? Yeah it definitely was! Luckily the doors and quarter panels are in pretty good shape and i'm not too worried about the fender and bumpers. Yeah I was surprised how beat it was for a track edition too... I picked it up for $1700 delivered to my house with a clean title still and then I found a running engine with 114k on it for $1000 with a bunch of extra parts, so all together i'm only in $2700. Been a bit since I worked on the Z but I finally got some space, got her in the garage, and got the front end removed. The new clutch should be here tomorrow so I can start swapping out the engine this weekend! Subscribed, not that I drift but always good to see people working on these cars and seeing what they do. Thank man! I appreciate it! Yeah it definitely takes way longer to shoot and edit than just do the work lol but it's pretty fun for me and hopefully I can teach people and get them more confident to work on their own cars. I haven't tried drifting yet either but this car should change that, I've always had awd and fwd cars. Thanks again!! SO I got the ECU and wiring harness disconnected to get the bunk engine out! New engine is in the car and just needs to be connected, Engine removal and install videos coming up soon. Alright guys, the engine is finally out! Found a broken Pivot ball when I was cleaning up the engine bay, luckily i had heard this was a common problem and had already bought a replacement but this is how you get the threads out once it has snapped. Got the clutch and flywheel installed! Next is the engine! Also got a huge piece of the project in! Stay tuned. Engine is back in the Z! Getting this baby closer to being road worthy again! Just bought an '05 Nissan 350z Enthusiast. Quick Reply: New Junkyard drift project!